Hide & treat. Anti-aging concealer. 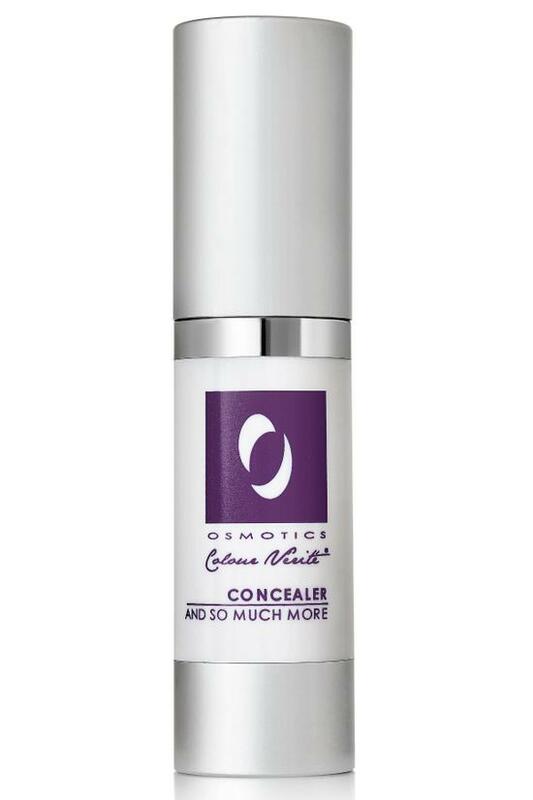 Crease-free concealer blends gorgeous, soft-focus pigments with the powerful peptides of Osmotics' signature skin care. This time-saver blurs imperfections, erases discoloration and reduces the appearance of crepey lids, dark circles, puffiness and fine lines. · Available in: Light or Medium/Dark. Using ring finger gently pat/stipple small amount under eye and on lid (for eye shadow base). Do not rub. Avoid outer eye area. Water, Dimethicone, Titanium Dioxide, Stearic Acid, Caprylic/Capric Triglyceride, Simmondsia Chinensis (Jojoba) Seed Oil*, Prunus Amygdalus Dulcis (Sweet Almond) Oil, Sodium Hyaluronate, Methyl Methacrylate Crosspolymer, Stearoyl Glutamic Acid, Butylene Glycol, Acetyl Tetrapeptide-5, Glycerin, Steareth-20, Chrysin, N-Hydroxysuccinimide, Pamitoyl Tripeptide-1, Palmitoyl Tetrapeptide-7, Phenoxyethanol, Cetyl Alcohol, PEG-100 Stearate, Kappaphycus Alvarezii Extract, Caesalpinia Spinosa Fruit Extract, Glyceryl Stearate, Carbomer, Tromethamine, Tocopheryl Acetate (Vitamin E), Potassium Sorbate, Ethylhexylglycerin, Iron Oxides (CI 77499), (CI77492), (CI 77491).